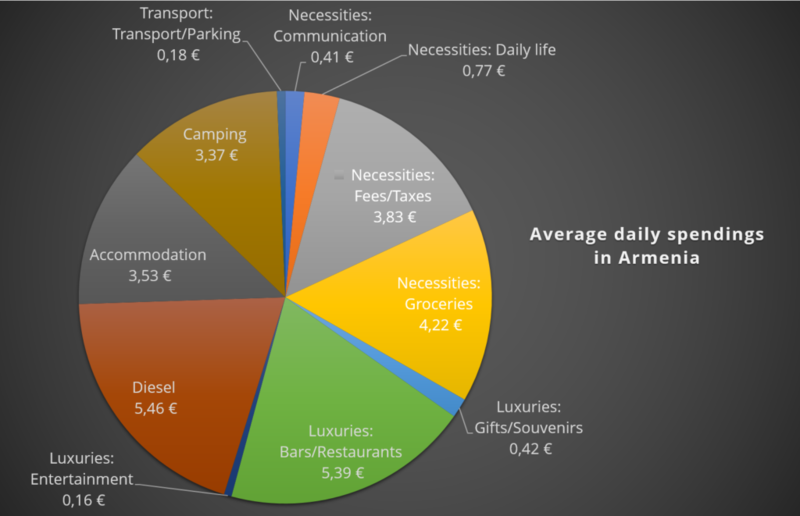 Planning to go overlanding in Armenia and wondering how much you would have to spend? 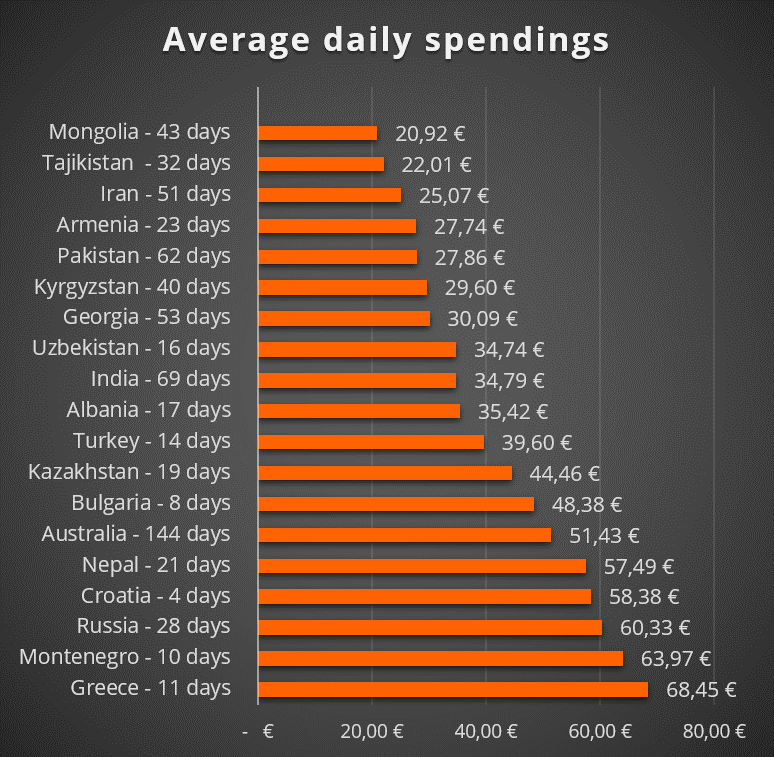 Here is an insight into how much we spent in this post-soviet gem. We have great news for you! Armenia is one the lower end of our overlanding price range. 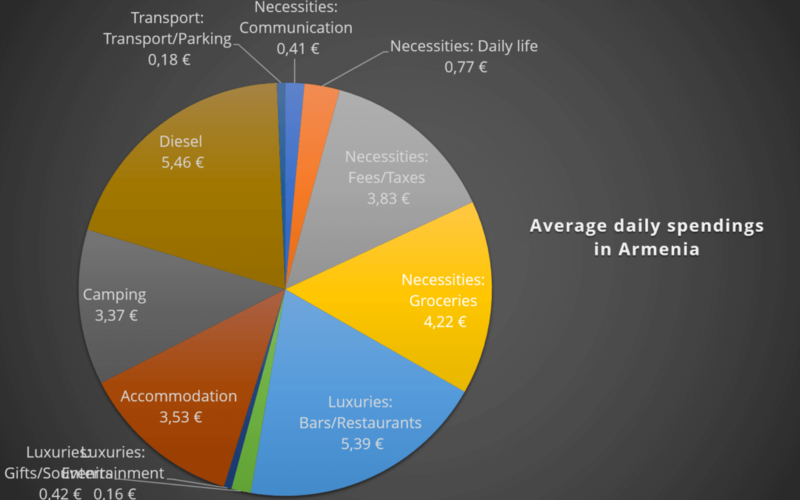 On average, we only spent 27.74 € per day. Note that these 27.74 € do not include costs for vehicle maintenance and repairs, equipment we bought along the way, shipping and flights as those cannot be attributed to one single country. 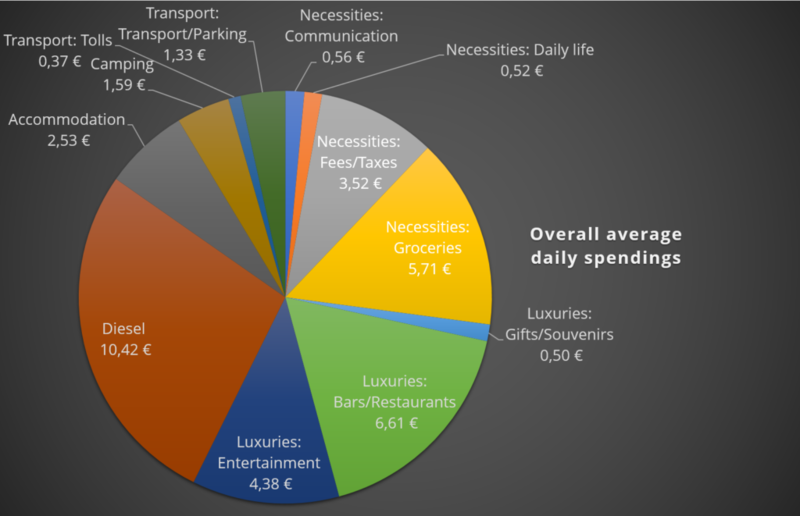 On average, we have spent an additional 27.18 € per day in these categories. For comparison, we have included the graph showing our daily average expenses of the whole trip below. Continue reading our Armenia travel guide!